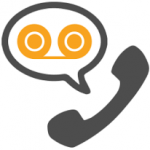 Automatic call recording offers an automatic way of recording inbound and outbound calls. Once a call is recorded, it is stored in the cloud* and is available for playback and download at any time, from anywhere. Listen to the recording as many times as you would like in order to review the conversation or take notes. Use your recorded calls for customer service evaluation, training purposes, and for keeping accurate compliance records. This feature is available to customers of FTS. For inbound and/or outbound calls. Turn on automatic recordings for incoming calls to departments, ex. Sales/Support. Record calls from any device on your FTS Telecom system. You do not need any additional equipment to record calls—it’s all done in the cloud. Play, download, and forward recorded conversations as email attachments. Record conference calls or web presentations when detail and focus are essential. Review recorded calls for customer service or training purposes. Document conversations and keep accurate legal and compliance records.